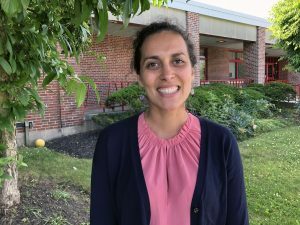 The South Orangetown Central School District is pleased to announce that at the June 14 Board of Education meeting, Maggie Pilar White was appointed as William O. Schaefer Elementary School Assistant Principal, effective July 16. Ms. White comes to SOCSD from the Harrison Central School District, where she has led and coordinated all elementary school initiatives related to professional development, curriculum and instructional practices as Supervisor of Elementary Education since 2015. Over the course of her 13-year career in education, Ms. White has gained extensive experience in bilingual education, special education, literacy, and differentiation for gifted and talented students. Ms. White holds a Bachelor of Arts degree in Sociology and Latin American Studies from Wesleyan University, a Masters of Science degree in Teaching from Pace University, and a Masters of Education degree in Educational Leadership from Teachers College, Columbia University. She holds certifications for School Building Leader and Childhood Education Grades 1-6 with Bilingual Extension.